Dr. Aneja is an MBBS Graduate from Maharishi Dayanand University, Rohtak and completed her MD (Obstetrics & Gynaecology) from P.G.I.M.E.R. Chandigarh in 1992. She has also done her DNB (Obstetrics & Gynaecology) in 1992 and has completed her MRCOG from the Royal College of Obstetricians & Gynaecologists, London in 1998.She holds a Diploma in Pelvic Laparoscopy from Keil School of Endoscopic Surgery, Germany and Gisson School of Endoscopic Surgery, Germany in 2006. Dr. Hrishikesh D. Pai M.D., F.C.P.S., F.IC.O.G., MSc (USA) has been in the field of IVF since 26 years.He did his one year fellowship in Reproductive Biology from the University of Melbourne Australia, in 1989. He is the scientific director of Two IVF units in Mumbai- 'The Babies & Us' Fertility, IVF & ICSI Centre at Opera House & 'The Advanced Fertility Centre' At the Lilavati Hospital, Bandra. He is one of the pioneers in the field of Micromanipulation in India. His was the third unit in India to have started the procedure of Micromanipulation ICSI in 1996 in Mumbai. A senior Obstetrician and Gynaecologist, Dr. Kumkum Vatsa has over three decades of teaching and clinical experience. Her areas of expertise are high risk pregnancies, Colposcopy, Hysteroscopy and Laparoscopy. Dr. Manavita Mahajan has been a practicing Obstetrician & Gynaecologist for the past 20 years and is well liked and respected by her patients as well as the Medical Fraternity for her professional competence and high ethical standards. Her work experience and professional training have been extensive both in India and in NHS Hospitals in the UK. Dr. Manavita Mahajan is a strong proponent of Safe Motherhood practices and has worked for the implementation of these practices in her hospital practice. She is equally well known for her Laparoscopic surgical skills and has been a speaker/faculty at many National Conferences on Gynaecological Laparoscopy. 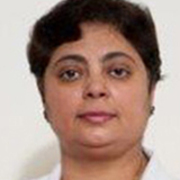 Dr. Mukta Kapila is a Senior Consultant and Unit Head at the department of Obstetrics and Gynaecology. She has attained expertise in managing high risk pregnancy, laparoscopic and hysteroscopic surgeries as well as urogynaecological procedures with over 20 years of experience in the field. Widely travelled nationally and internationally, she has exposed herself to the best of hospitals and equipment worldwide and has finally settled in Gurgaon for last 12 years. Dr. Nandita P Palshetkar is a part of the Infertility unit of many renowned hospitals like the Lilavati Hospital Mumbai, Fortis Group of hospitals Delhi, Mumbai, Chandigarh & Gurgoan and the Dr. D.Y. Patil Hospital and Medical research Centre Navi Mumbai.She is currently the professor of OBGY at the Dr. D.Y. Patil Medical College, Navi Mumbai and teacher for super specialty degree (FNB), Fellowship in Reproductive Medicine, National Board, Delhi at Lilavati Hospital in Mumbai. Professor in Obstetrics & Gynecology at D.Y. Patil Medical College, Navi Mumbai. 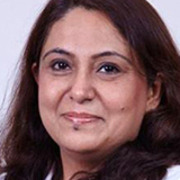 Dr. Preeti Rastogi has more than 12 years of experience in Obstetrics and Gynaecology. She was trained in UK and was associated with Singleton Hospital, Swansea UK, University Hospital of Wales, Cardiff, UK. She has worked in UK for more than 10 years. She has done fellowship in Urogynaecology from UK and has vast experience in Laparoscopic surgeries, pelvic floor disorders, Incontinence, adolescent problems. She also has expertise in managing high risk pregnancies like PET, diabetes in pregnancies, twin pregnancy, medical disorders in pregnancy.  Dr Seema Bisht, M.D. , MRCOG (UK). She has been a practising Obstetrician and Gynaecologist for over 10 years. Her empathic nature and pleasant demeanour coupled with her professional attitude enables her to strike an excellent rapport with patients. After completing her M.D in India , she worked in several teaching hospitals in UK and became Member of the Royal College of Obstetricians & Gynaecologists ( London, UK). Her areas of interest include: High risk pregnancies, Laparoscopic / Hysteroscopic Surgeries, Assessment and management of Infertility, She has several international presentations and actively participates as a faculty in CME initiatives of RCOG NZ India. Dr. Seema Thakur is Senior Consultant and head of the Department of Clinical Genetics and Fetal Medicine at Fortis Hospital, Delhi. She is a D.M. in Medical Genetics. She is a well known genetic expert in India. She completed her superspeciality training (DM) in Medical Genetics from Sanjay Gandhi Post Graduate Institute of Medical sciences which is the only institute in India providing this degree. She has been working in field of genetics and fetal medicine for last 13 years including four and half years in the Department of Genetic Medicine, Sir Ganga Ram Hospital, New Delhi. Dr. Suneeta Mittal is a renowned name in the field of Obstetrics & Gynaecology having a wide experience of more than 37 years. She has done path breaking National & Internatonal Research in Women's Health leading to introduction of emergency contraception & Medical abortion in India. She has been the Professor & Head, Department of Obstetrics & Gynaecology at the prestigious All India Institute of Medical Science, New Delhi. 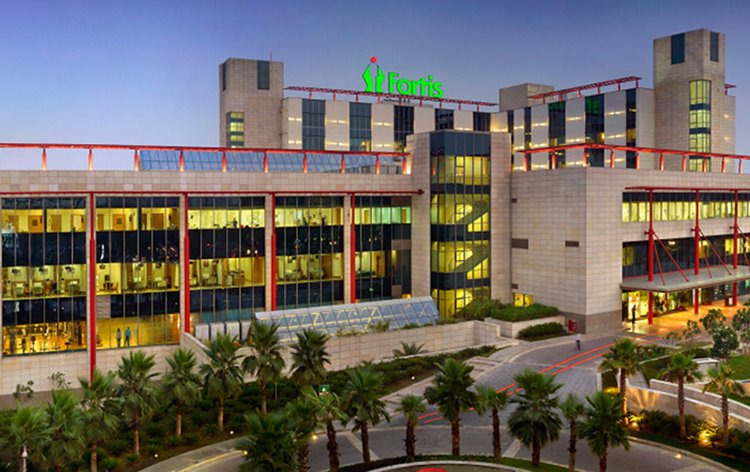 Dr. Swati Mittal is a Consultant at Fortis Memorial Research Institute, Gurgaon. She is skilled in the field of high risk obstetrics, infertility management, operative onsetetrics and gynaecoloy and gynaecological endoscopic procedures including advanced laparoscopic and hysteroscopic procedues. Dr. Vimal Grover has more than 35 years of experience in the field of Obstetrics & Gynaecology. She has held long tenures as senior faculty member in premier institutes of the country and actively participated in national and international workshops, conferences and seminars in the capacity of chairperson, faculty and delegate. She has authored more than 40 publications and been published in both national and international journals. Her research work in Antiplatelet Therapy has been recognized at the international level.